The compatible Avery Label Template 5163 sheet is perfect for those that need to make multiple shipping labels at once. The template has a green border and a green gradient background. The labels are four-inches by two-inches in size. In the top-left hand corner, you can place the following information: Your company name, street address, city, state and zip code. In the middle portion of the label, you will be able to enter in the following information: Customer’s name, street address, city, state and zip code. If all the labels need to be the same, you will just need to fill out one card. 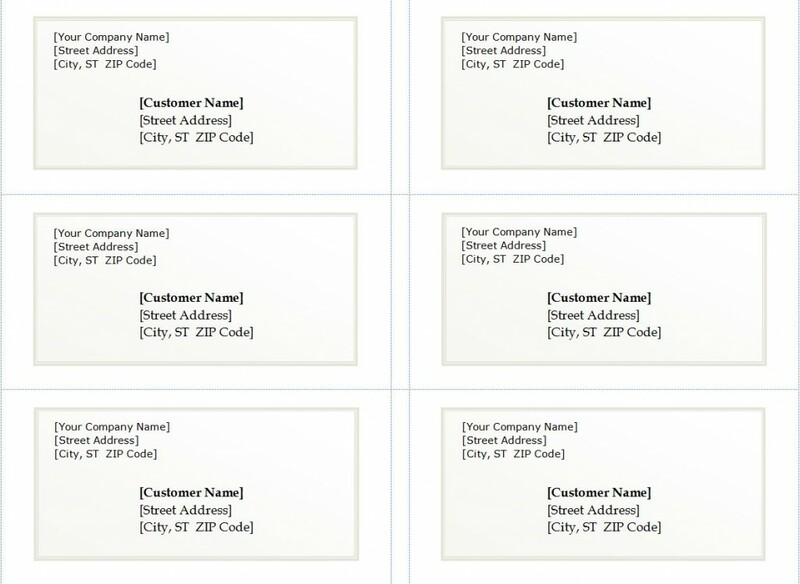 Then, you can just copy and paste the information over to every card on the template. This will make printing much easier when the labels all have to be the same. After downloading the free template, be sure to enter in all your company information and save it. This will save you time when you are trying to make labels. That way, you will only have to enter in the customers information each time you are in need of labels. The shipping labels will look professional being printed out and placed on the package that is being sent out. You can add designs to the shipping label that can have your company logo or any other designs that you would like to add. The template can be saved and reused at any time. The customer information can always be edited to ensure your products will be sent to the correct place. You can download the document comparable to Avery Label Template 5163 sheet right from this page for free. The template is customizable to fit your needs for your business, and you can create the design that you want. It is absolutely easy-to-use. All you have to do is fill in the blanks and print them out. By printing ten labels out at a time, per page, you will ensure to save money an time. Be sure to download your free comparable Avery Label Template 5163 sheet today!